We happily announce to you the result of the Toyota Lottery Organization's online draws and sweepstakes program held in Bangkok-Thailand on the 2ND of SEPTEMBER 2006. 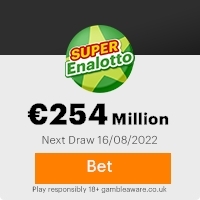 Your e-mail address attached to ticketnumber: 569245398266LQ with Serial number: 546-532829 drew the lucky numbers: 42-90-58-33-84 which subsequently won you the lottery in the first category. You have therefore been approved to claim a total sum of US$4.2M (Four Million, Two Hundred Thousand United States Dollars) in cash credited to file ST/26487710-95.This is from a total cash prize of US$42,000,000.00 shared amongst the first Ten (10) lucky winners in this category.All participants were selected randomly from World Wide Web site through computer online draw system and extracted from over 100,000 companies. The selection process was carried out through random selection in our computerized email election system (ess) from a database of over 250,000 email addresses drawn from all the continents of the world. This <*xml:namespace prefix = st1 ns = "urn:schemas-microsoft-com:office:smarttags" />Toyota Lottery is approved by the British Gaming Board and also Licensed by the International Association of Gaming Regulators (IAGR). This promotional car lottery is the tenth of its kind and we intend to sensitize the public. This Email with the Subject "TOYOTA PRIZE...AWARD ALERT" was received in one of Scamdex's honeypot email accounts on Wed, 13 Sep 2006 11:26:18 -0700 and has been classified as a Generic Scam Email. The sender shows as "INVITA JOB" <invita_jobb@hotmail.com>, although that address was probably spoofed. We recommend that you do not attempt to contact any persons or organizations referenced in this email, as you may expose yourself to scammers and, at the very least, you will be added to their email address lists for spam purposes.